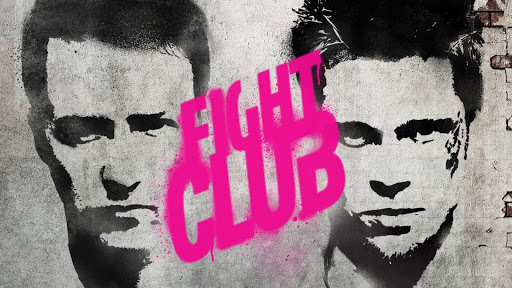 I’m a sucker for anti-establishment stories, giving Fight Club a special place in my heart. I’ve seen the movie at least a dozen times since it released in 1999. To my shame, I didn’t realize it was based on a novel until years later. But, that just gave me an excuse to jump back into the passenger seat of the runaway train that is Tyler Durden’s world. Is the Movie Faithful to the Film? Does the movie do the novel justice? In short, hell yes. The movie incorporates page after page of Palahniuk’s novel, including exact dialogue and inner dialogue. I tip my hat to Fincher for doing this; why mess with a good thing, after all? Edward Norton, Brad Pitt, and Helena Bonham Carter do an absolutely amazing job of being faithful to their respective characters and bringing them to life. The movie strikes an amazing resemblance to the feel of the novel using cinematography and grainy, green-washed lighting. If I were writing a book report I wouldn’t skip Palahniuk’s novel and just watch the movie; there are clear departures. Generally, the novel gives us a greater look at the inner machinations of a man losing his grip on reality. The movie does a great job of digging into the “Odd Couple” relationship between Norton and Pitt’s characters with Marla stuck in the middle. The endings have nothing in common; Tyler Durden is more homicidal in the novel; Project Mayhem and Robert Paulson play different roles; Marla has more emotional depth and empathy in the book, and more. I would say all departures are forgivable, but the endings are so vastly different that the takeaways from each experience is different though equally rewarding. Is it me, or does the novel leave enough room for interpretation to make a case for Marla being another split personality? I know, weird. It’s probably just my personal take on it, but that’s one of the great things about books…you can interpret the stories in ways the author never intended. Book Vs Film – Which is Better? It’s so hard to pick a winner. They are both great in their own rite. But, I think that the movie’s extra focus on anti-establishment and breaking free of social and cultural confines puts it over the top. At least that’s my take. What do you think? Book or movie?